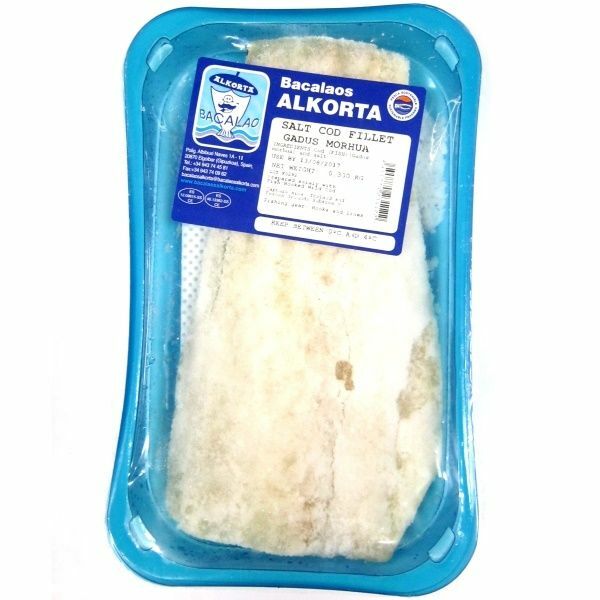 Salt Cod (Bacalao) - sustainably sourced salt cod, caught with line and hook and with traceable origins. 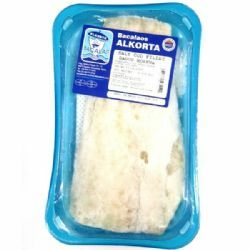 The cod originates in the North Atlantic seas, from Iceland and one of the world’s finest fishing areas, off the Faeroe Isles. The quota of fishing allowed is agreed each year and only fish of a minimum weight can be fished. 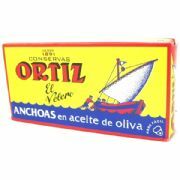 The salt cod is produced in Spain from fresh fish, not frozen and it is cured for 30 days in salt. Each size and cut of cod is salted individually. Also available in 1kg packs. N.B. 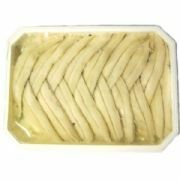 Typically has a very long shelf life but must be kept refrigerated so only suitable UK delivery which excludes UK remote areas, offshore islands and Northern Ireland.